Action Force returns (sort of...)- BLOOD FOR THE BARON!!! There's a discussion on Hisstank about whether or not he owns the IP (he's apparently checked the copyright laws and is happy he does), if you were wondering. 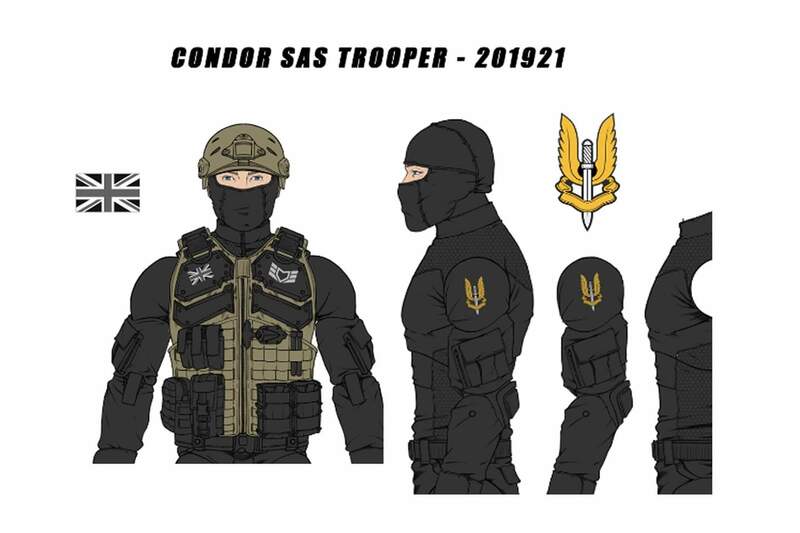 I'm still not sure about it (it's the wrong scale, most of the line won't be AF homages) but I'm tempted by the SAS trooper. What does everyone else think? If I wanted one then I would make one from Marauder's parts. You could also replicate his with the tan helmets & vests. It is odd that there was no copyright. The G.I. Joe Club used "Special Action Force" for theirs so speculation was they couldn't just use "Action Force".